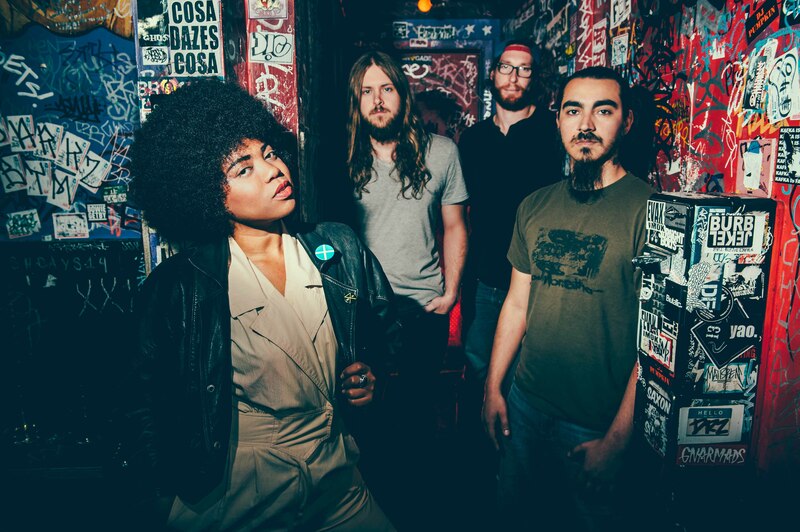 The Seratones are a rock ‘n’ roll band from Louisiana. Their music draws influence from a variety of genres, with notes of punk rock, jazz and soul all coming through on their debut album “Get Gone.” The Seratones have received wide critical acclaim for their unique sound and constant energy, delivering impressive performances at SXSW this year and on an NPR Tiny Desk concert. They will be performing at the Casbah on Monday, Sept. 19. Guardian: How long will you be on tour? AJ Haynes: We’re touring stateside until Oct. 28 or 29, and then going overseas from Nov. 3 to Nov. 22 or something like that, so basically until the end of November. G: Do you have any plans after your tour ends? AJ: Yeah, hopefully [we’ll] focus on writing, recording and getting ready for whatever our next steps are. G: Could you describe your songwriting process? AJ: We’re in the process of trying different things out. It’s been completely collaborative actually, wherein songs start with a sound, a feeling, a riff, or a verse. It just varies. But we all build together. G: Would you say you prefer touring and performing for audiences or writing and recording in the studio? AJ: I’d say they both have different challenges. I’m really comfortable in a performance space because you get that immediate feedback, and I feel like it’s easier to stay away from the kind of navel-gazing or tunnel-vision we tend to get as artists because you have that mirror. You have the crowd to reflect on and connect with, whereas with recording you’re looking dead at yourself. They both present really unique challenges. I like the immediacy of performing and we try to get that same vibe and feel with recording. That’s what we strive to do. G: What has been your favorite place to perform? AJ: I don’t know, I can’t really say I’ve had a favorite place. I’m excited to see what this next round will be like; this is our second international tour stateside. G: What do you do to get ready for a show? AJ: I like to put on makeup; [I have] this weird ritual of painting my face. I always like to think of it as war paint. It’s fun, and I’ve always kind of idolized drag queens. There’s something about watching them prepare, it’s almost primitive in a weird way. And I listen to a lot of Wu Tang. That’s my go-to while I’m putting on makeup. I listen to Beyonce too, because that’s fun to dance around to and kind of gets the wiggles out. Or Big Freedia, I just get as crunk as possible. G: Who would you say your band’s influences are? AJ: I’d say they’re very varied. We all came together with our love for blues, jazz and punk music. Each person focuses on one element of [each type of] music. For example, Adam is a really big fan of Ernest Coleman and the more experimental jazz. Jesse is obviously obsessed with jazz drumming — Buddy Rich and Gene Krupa — those are the two that come to mind. And Connor, he’s the first person that I really vibed with on Miles Davis, and [understood] how much I loved his music, especially “Kind of Blue.” And I love the jazz vocalists. I’m trying to emulate them as much as I can. Everyone has their own spectrum of every genre, and everyone has really multifaceted tastes. G: How do you think being from Louisiana has influenced your music? AJ: Sonically, I don’t think that we have much in the way of straightforward “Louisiana” influences. There is a rich cultural heritage here that I think we’ve inherited, especially from Shreveport where Huddie Ledbetter, or Lead Belly, as he was known, was one of the real innovators in blues music. And then there are also weird freaky bands like the Residents. So I wouldn’t say that our state and [its] culture have had a huge influence on our sound, but there is this sense of musical lineage, something we always come back to. Not that we’re actually physically related, but it’s the idea that this is homegrown and that this is where we’re from. I don’t think we sound anything like Louisiana, I don’t know what the hell that means. I think a lot of music writers equate us with gumbo, and it’s a really poor use of language. It’s not at all what we sound like — we don’t sound like food. G: Do you think growing up singing gospel affects how you sing today? AJ: I think it definitely had an influence on how I think of a performance space and how it’s more of a communion than a place for showboating. That’s a really integral part of performing for me and connecting with an audience. I think it’s important to keep yourself in check. And also gospel music, and how to project, and how to sing from below your feet, from the earth, those are some things that stuck with me. G: When you were growing up, did you ever see yourself being where you are now as a musician? AJ: Yeah! When I was a little girl, I just knew that I wanted to travel and make art, and the singing thing is working out pretty damn well. I didn’t really have a clear-cut idea when I was a kid, I just knew that I wanted to travel the world and I wanted to do it with integrity. Past that, I didn’t really think about being in a rock ‘n’ roll band for sure; I just knew that I wanted to keep my people with me. G: How does it feel now to have your debut album out and seeing all the responses to it? AJ: It’s exciting! After being a teacher I feel like it’s a lot like child rearing: you do all you can to cultivate a piece of art and then you just set it free into the world and it will make what it makes of it. I get excited whenever fans call out specific parts of songs that really touch them. That’s why the hell we got into this in the first place, not for the music reviews per se, but for this connection. And I like when music reviewers are critical, because I think that a really important facet of becoming a better musician is taking criticism and also knowing how to navigate it, and how to not let it become something that dictates what and how you create. G: How would you describe your band’s sound in one word? AJ: Oh, that’s a hard one! Fun! I think fun, I think our music’s fun. Even when it’s not. It’s not like happy-go-lucky fun, it’s like we’re doing this for fun. I hope that comes across. The Hollywood Accountant #1: Is Bridget Jones More Relevant Than Edward Snowden?